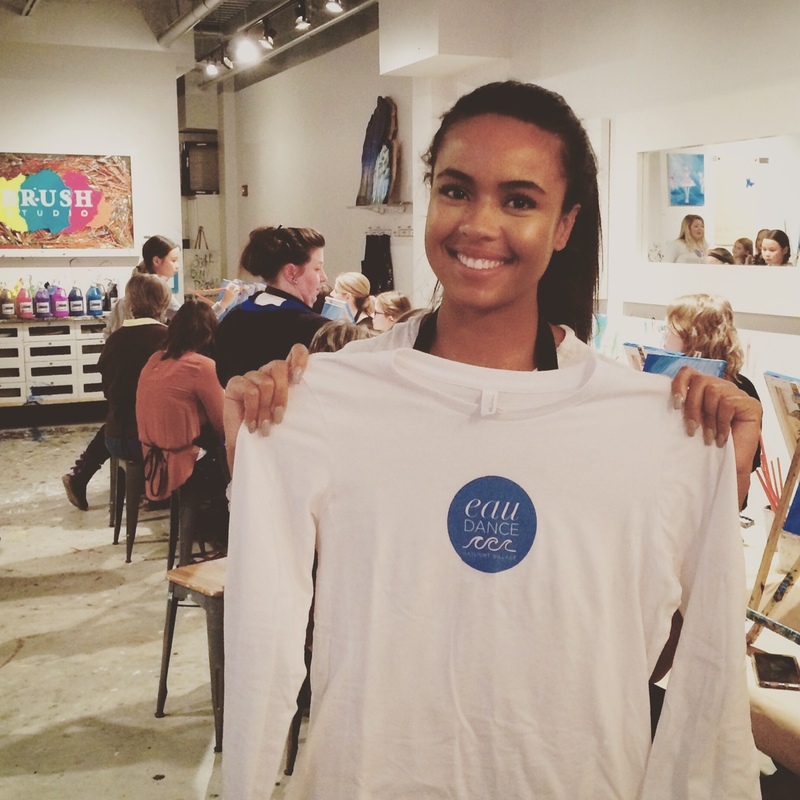 EAU Dance teamed up with Brush Studio in Gaslight Village to host the very first Ballerina Painting Party on Thursday, January 7, 2016. 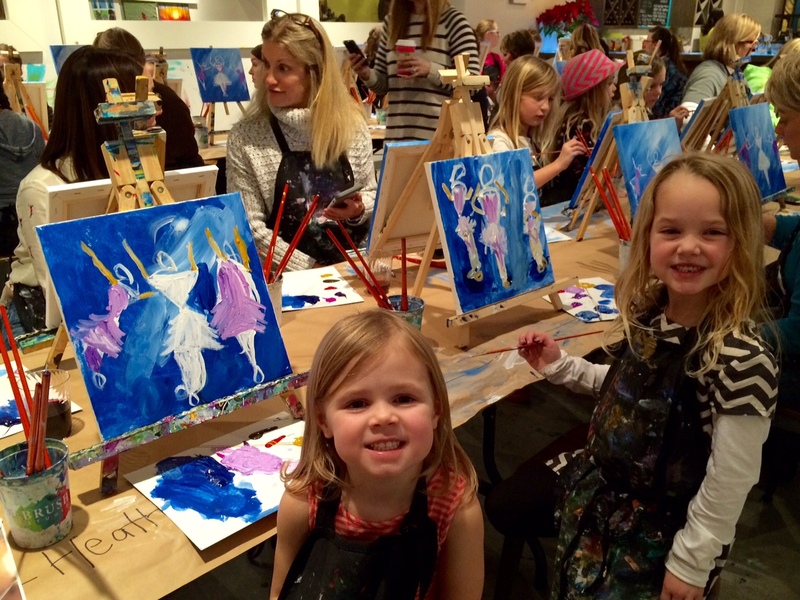 Nearly 40 women and children joined us for this fun, creative night out for families! Participants followed along as our Brush Studio instructor provided step-by-step instructions for painting on a 12×12 canvas. See how the petite paintings turned out! Find photos from this event on our facebook and instagram. 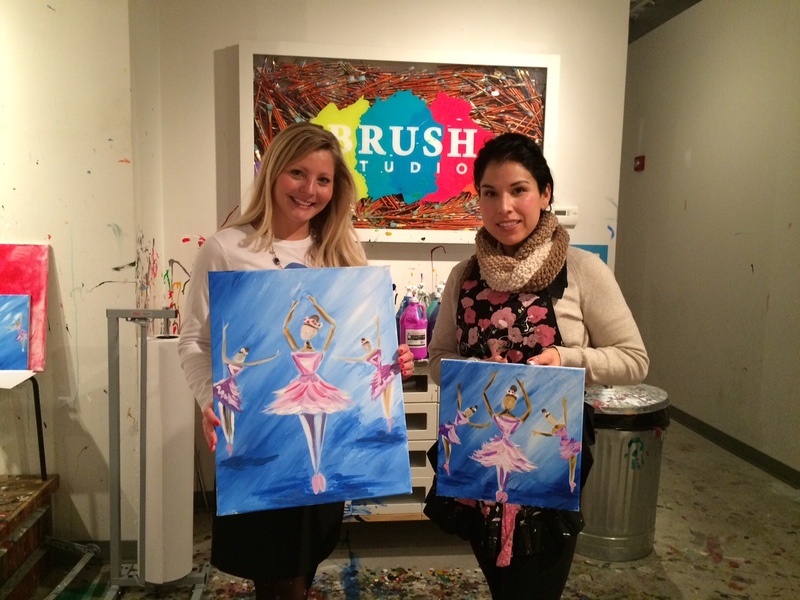 Special thanks to Brush Studio and our friends, both old and new, for joining us for this memorable night out! We hope to see you in the studio soon! The East Grand Rapids High School Varsity Dance Team will kick-off the New Year under the direction of Emily Underwood, EAU Dance Director. Underwood was appointed to the position by EGR High School Athletic Director Tim Johnston in December. The team, comprised of twelve girls (grades 9-12) will perform at select varsity basketball games this winter and will compete in January and February. Go Pioneers! You could feel the beat in Beverly Hills on Sunday afternoon! Debbie Allen, esteemed actress and dancer, led a free “Salsa Sunday” community class on the courtyard plaza at the Wallis Annenberg Center for Performing Arts. Accompanied by a live band, the energy of the latin moves and rhythms inspired a crowd of loyal locals and visitors to “shake their body” and move to the music. Debbie Allen is an American actress, dancer, director and producer and sits on the President’s Council for the Arts and Humanities. She is well-known for her role in Fame and has received three Emmy awards, one Golden Globe, the George and Ira Gershwin Award, and a Tony nomination. Allen founded the Debbie Allen Dance Academy (DADA) in Los Angeles, a non-profit dance education center that provides comprehensive training to students ages four and up. While in Los Angeles, EAU Dance Director, Emily Underwood gave Hollywood’s latest fitness trend a try at AIR. This anti-gravity exercise is a hybrid of acrobatics, pilates, yoga, and ballet. This class commands quite a bit of upper body strength and is an effective way to work the entire body in a fun and playful way. Watch the one-minute video of Debbie Allen’s “Salsa Sunday” and class at AIR. I was able to study Tahitian dance while on honeymoon in Bora Bora. The traditional dance of French Polynesia is extremely athletic, expressive, and rhythmic. I hope you’ll enjoy learning a bit of the language and watching a short clip of the choreography. Thanks to my teacher, Titaua. The aparima is a slow hula dance. The traditional attire of Tahitian dance is a grass skirt, carefully crafted to perfectly fit the dancer and express their personality and theme of the movement they will be performing. Many dancers make their own grass skirts by hand. Skirts are ornately decorated with shells, palm tassels, and are woven together with all natural fibers. I was surprised to discover how heavy the skirts are. The weight is actually very helpful as it assists in the movement of the hips by grounding the dancer since Tahitian dance (similar to Hawaiian hula) is performed with bare feet, mostly bent knees, and connected to the earth. Fun fact: Many dancers wear a flower in their hair while performing. If the flower is behind your right ear, it means you are single. If it’s behind your left, it means you are married.